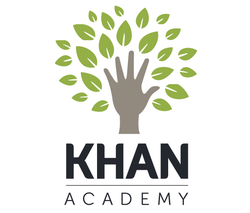 Khan Academy: An excellent resource for math assistance! Need some help with a math problem? Working on a science project? Check it out - contains the Columbia Encyclopedia, a Random House Dictionary, and a thesaurus. An atlas with maps and detailed profiles of every country and U.S. state. Daily features such as This Day in History, Today's Birthday, and Word Quiz. Timelines, quizzes, and polls, and "top ten" lists. Interactive features such as a "convert anything" tool and a periodic table. A Homework Center for students. subject-categorized directory of authoritative websites. Whether you're a high school or college student, tests are unavoidable. If you take a multiple-choice exam your strategy will be different than if you were to take an essay test. Learning proper note taking, studying and test taking strategies are a vital part of improving your grade on exams as well as your academic success. Test preparation program designed exclusively by ACT test development professionals.